Hague Talks is a meeting place for creative minds, peace inventors and game changers in the field of peace and justice. It is a stage and breeding place for new ideas and perspectives, a forum for discussion and a starting point for concrete action. 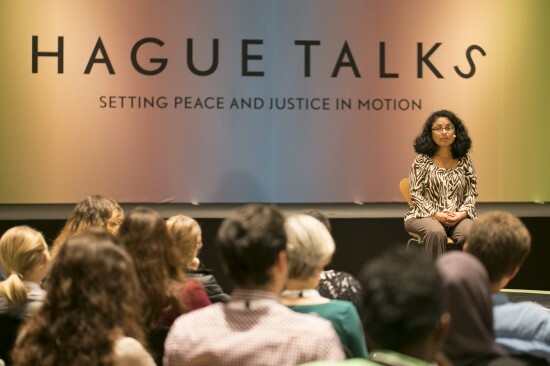 At Hague Talks we believe that looking at peace and justice from a variety of angles and perspectives sparks innovative thinking and acting. Hague Talks is convinced that both creative minds from within and beyond the working field of peace and justice can contribute to its dialogue and promotion.